Solar street lights function with the help of the photovoltaic or solar panels that are placed on top of the light to capture solar energy. These solar lights also have renewable battery packs placed inside them in order to store the excess energy to be used later during the day when no more solar energy is available. The ability of solar street light to convert a natural resource into electric energy has made it a much sought after product in the recent years. The solar street light dealers in Chennai have plenty of different varieties of solar street light fixtures available that can be integrated into any landscaper or architectural design. Solar street lighting is able to light up the exterior of a building or any public offering safety and security to the people in the area. With many different methods to light up an area, it is important to take into account the different elements of solar lighting before going ahead with the investment. Since the number of hours that daylight is available plays a big role in the size of the battery pack, it is critical to do your research well before deciding on which kind of solar street lights to purchase. 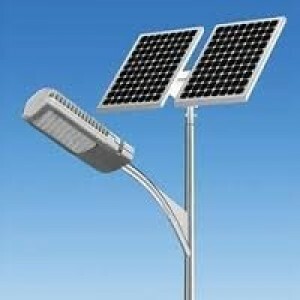 · As the name suggests, solar street lights use solar energy to run, making its dependence on electricity nil. The excess solar energy is stored away in renewable batteries to be used up during the darer hours of the day. This leads to I usage of electricity at all, making the utility bills go down considerably compared to traditional street lights. · People used to be wary of solar lights earlier on worried about their cost. However, the governments in different countries have been taking initiatives to keep the process of these solar lights on the lower side to make it easier for the general public to opt for greener lighting solutions. · Solar Street light needn’t be connected to any electric power source, making it very easy to install and even move around if required so at a later point in time. Since there is no writing required to lay out new solar street lights, the need to dig up pavements or demolish sidewalks becomes zero. · Solar street lights are built to be environment friendly and can last for a long time in different kinds of weather conditions. In fact, it is possible to make them, even more, environment friendly by using LED lamps instead of traditional bulbs. LED does not have mercury making them less harmful to the environment. They are also believed to last for a longer time. LEDS are also believed to give out directional lighting, making them quite useful in solar street lights. Interestingly, many people are still wary of investing in solar street lights while considering the initial costs. This one time investment might seem a bit more than installing regular street lamps, but they will help you save plenty of money since you do not need to pay any more electricity bills for street lights. You can also use LEDs to ensure that the lights run at a lower wattage and are more efficient in the long run. 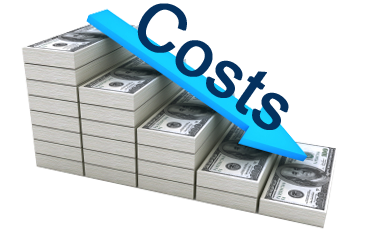 LEDs do not need to be frequently replaced, saving you money as well. The maintenance costs of solar street lights are very less compared to traditional street lighting which involves wiring costs, changing bulbs frequently, etc. Many cities are moving to solar street lights in an attempt to become greener and reduce the amount spent on utility bills as well. These days, everyone needs to be about more conscious of the effect that their actions have on the planet. The drastic weather conditions and natural disasters are proof of how the planet has started retaliating against years of neglect. Switching to solar street lights is a small step in making the planet a greener place for the next generation. Once the right steps are taken, it will be easier to start reducing the carbon footprint and bring about a noticeable change in the weather conditions. So, it’s time to play your part in saving the planet and save a bit of money as well.